Yikes! Fleas on your dog doesn’t only mean that he/she is continuously scratching and in discomfort, it may also mean that your dog is at risk of tapeworms and your home and yard crawling with them! These little bloodsuckers will snack on you too! Getting rid of fleas on dogs and keeping them away forever can be tricky. Let’s look at different flea treatments to prevent and terminate infestations on your dog, in your house and your garden. The best way to get rid of fleas once and for all is to use a combination of these remedies as some, whether natural or containing chemicals will get rid of fleas, while others are only repellents. If your poor pooch is heavily infested, chemicals may be the best way initially. Consult with your vet as some products can be toxic when used together. You will need to monitor your pet closely for side effects or allergic reactions. Dogs older than a year. Small breeds weighing no more than 25 pounds. Just like many of the manufactured versions, DIY herbal oil-infused collars ward off fleas. These collars are safe as long as your pet is unable to lick or chew it. Do not apply the oil mixture directly to your canine’s fur. There are two variations of essential oils combinations that act as natural repellents that you can use. Mix vodka and oils in a bowl. Using a baking sheet, lay the dog collar out flat. Pour the mixture over the length of the collar. Leave collar out to air-dry. Use collar immediately once it is dry enough for your dog to wear comfortably. Don’t store the saturated collar. Note: If your dog is large, increase the amounts of the ingredients. Ensure to stick to the ratio. This homemade flea bath is safe to store so you don’t have to use it all in one go. Mix the ingredients in a bottle. Shake well. Bathe pet as normal. Rinse. This all natural mixture can be sprayed directly onto your dog. Besides acting as a flea deterrent, this DIY spray will also add a shine to the coat. Add the white vinegar/apple cider vinegar/50-50 mixture to the water. If you choose to use oils, add two to three drops. Put mixture into spray bottle and shake well. Spray directly onto your dog’s coat. Make sure that you do not spray into his/her face. Spray the mixture onto a damp cloth and rub your dog’s chin, ears and neck. Avoid contact with his/her eyes. Lightly spray your pet’s bedding. 1 x Comb/brush. If your dog has short hair you can make use of a sponge for better application. 1 x Pot of water. Bring the pot of water to boil. Once it is boiling, add the lemon slices and turn off the heat. Cover pot with lid and leave to steep overnight. Dip comb/brush/sponge into the water and brush your pet. Make sure to keep the comb/brush/sponge damp as you apply. Avoid eyes as this will sting. Note: In a hurry? Add lemons to vigorously boiling water. Allow to cool and follow steps 3 and 4. I must admit that I was initially skeptical about this one but it really does work. An oatmeal bath is a fantastic way for getting rid of fleas on dogs although it is a bit of a mess to clean up afterward. 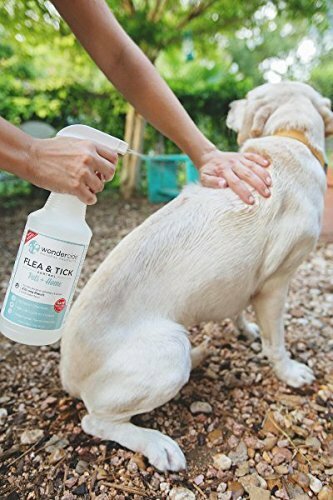 This 100% natural flea treatment works for ticks as well. It is ideal for dogs with sensitive skins and allergies. If you use this remedy, your pampered pooch will feel like he/she is visiting the doggy spa because it moisturizes both his/her skin and coat. The latter will be silky and soft making grooming easier. Next time you are at the store note how many organic dog shampoos and sprays have oatmeal in. This DIY version will cost you a fraction of the price. There are several variations to the oatmeal bath. Some include baking soda or Epsom salt. Add a cup uncooked plain oatmeal to a blender until it is a powder. Soak in a bathtub of warm water until the water turns milky. Rub all over your dog. Give a good scrub and rinse. Boil water in a pot and add rosemary sprigs. Turn off the heat, cover pot and steep for 30 minutes. Strain to remove leaves from the water. Add more warm water to the mixture. You can add up to a gallon depending on your pooch’s size. Allow water to cool. Pour the rosemary infused liquid over your pet and allow to air-dry. This is another remedy that works from the inside to prevent infestation. Simply mix 1 teaspoon of brewer’s yeast into meals. One teaspoon is adequate for small dogs weighing up to 30 pounds. An additional teaspoon can be added for every 30 pounds of weight for bigger breeds. You can safely repeat this with every serving. This easy natural flea treatment helps to make your dog more flea resistant from the inside out. An added benefit is that it helps to keep your pal’s skin and coat in good condition too. Just add 1 teaspoon of apple cider vinegar or distilled vinegar to your dog’s drinking water every time you refill. Depending on the size of your pet, one teaspoon per quart of drinking water is efficient if he/she is smaller than 40 pounds. Should your canine be bigger, add an additional teaspoon for every 40 pounds over. See manufacturer’s specifications for age and size. Chemically treated flea collars are designed to prevent flea infestation but there are variations that will kill fleas. The benefits of using these are that some work for ticks too and they can last for up to 8 months before needing to be replaced. When putting the flea collar onto your dog make sure that you can slide your fingers between the collar and your pet’s neck to verify that it is not too tight. If the collar is too long, trim off the excess so that your dog is unable to chew it. See manufacturer’s specifications for age, size, and administration directions. 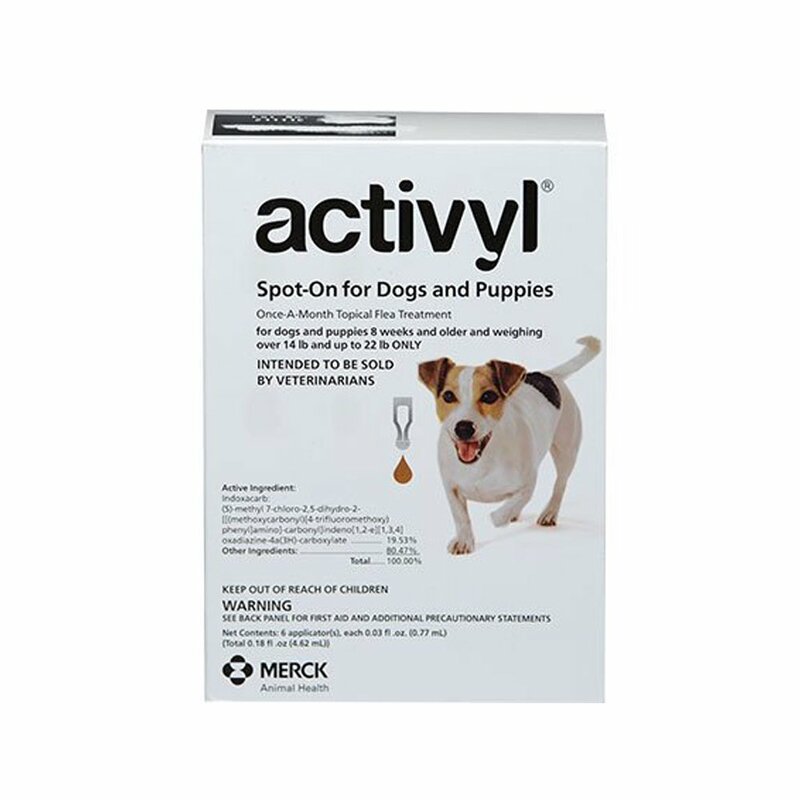 Oral flea protection comes in a pill form that must be swallowed, chewed or mixed into food. If your dog is a picky eater or does not like pills look out for the flavored kind that will make it easier to administer. These medicines offer quick results with some working within an hour of consumption. Usually, all fleas will be dead after only a few hours depending on the product. As you know, your vet will be able to advise you as to the best way to get rid of fleas through these medications. Moreover, some of these are only available with a prescription and are made to target either the adult flea or the eggs. It may, therefore, be necessary to use a combination of these drugs or other methods to successfully eradicate all existing fleas on your dog. These medicines don’t serve as a preventative measure. For continued protection, you may want to use shampoos, dips or flea collars. See manufacturer’s specifications for age, size, and directions. Although many are happy with herbal shampoos, or the DIY versions thereof, sometimes these are not enough in getting rid of fleas on dogs. In extreme cases, you may need a medicated flea shampoo. These are designed to kill off any fleas on your pet whilst still acting as a preventative if used all year round. Medicated shampoos basically work like a regular dog shampoo. You bathe your pet as normal. The only difference is that once lathered, you must leave the shampoo on for 5 minutes (or as directed) to ensure that all living fleas are targeted. Repeat this about every two weeks for the treatment to remain effective. Some dogs may exhibit sensitivity to certain shampoos. Should this occur, discontinue use and consult with your vet. 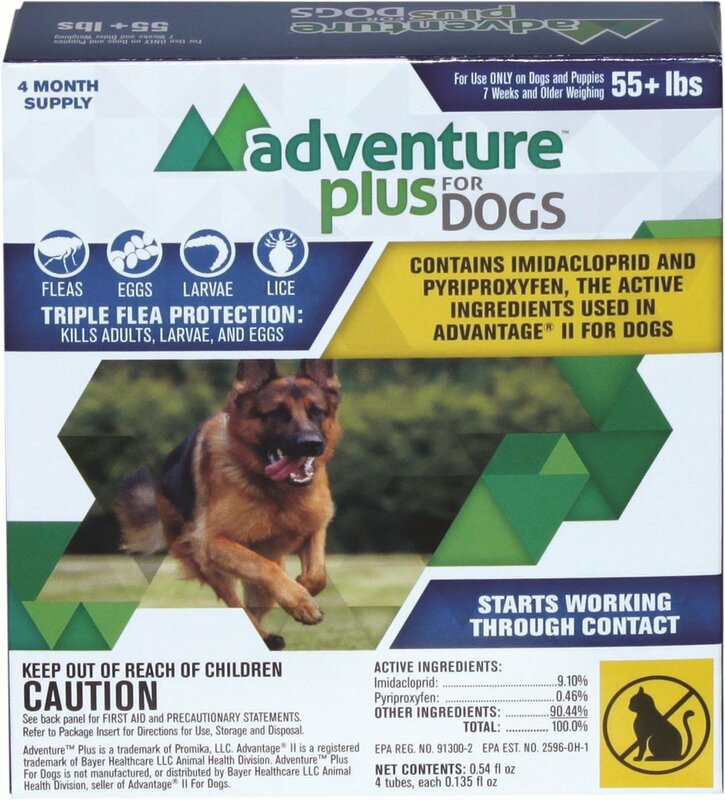 This is a concentrated chemical that is usually diluted with water to kills fleas on dogs. The liquid is either poured over or sponged onto your dog and left to dry naturally without rinsing. Flea dips are definitely strong enough to guarantee the total elimination of any living fleas on your dog but for this very reason, they can also be dangerous to both your pet and yourself. Make sure to read through the instructions before using the product. Again, your vet will be able to tell you which flea dips are the best way to get rid of fleas and advise in regards to safety especially for puppies or nursing/pregnant moms. In extreme cases, your vet may actually perform the dip due to the toxicity of some of these products. Sprays are handy in getting rid of fleas on dogs. They are sprayed onto the coat and can be used in the home on upholstery and the bedding of your canine. There are two kinds of these sprays. One kills off existing full grown fleas, eggs, larvae and even ticks and the other repels fleas. Certain flea sprays can last for up to 2 months before reapplication is required. Topical spot treatments come in the form of drops that is applied just above your dog’s shoulders at the nape of the neck. The chemicals of the drops are effectively passed along your dog’s body via his/her sweat glands. Many flea drops can kill off both adult fleas and larvae and some can even eliminate lice and ticks too. This is one of the most popular methods for getting rid of fleas on dogs. The application is simple and lasts about a month before it needs to be reapplied. Fleas can breed in your home, particularly in the carpet and any upholstered furniture that your pet frequently comes into contact with. Even if you get rid of the fleas on your dog he/she will just get them again if they are in the surroundings. To combat the infestation, you need to vacuum regularly. Make sure to discard of the used vacuum bag properly. Alternatively, steam clean to get rid of even more. It is important to wash your dog’s bedding, blankets and soft toys often. Rugs and other items that you cannot throw into the washing machine can be hung in direct sunlight to dispel of fleas. Another breeding spot for fleas is your garden. Mow the lawn frequently and remove all piles of leaves and clippings to discourage fleas from reproducing and infecting your dog. Trim back thick foliage to allow direct sunlight in areas that you know are flea infested. If possible, consider flooding your yard to kill off all existing fleas. Recommended for: Inside your home or garden depending on your dog sleeps. 1 x Small pouch made of a breathable material like muslin. (A drawstring pouch works wonderfully because you can reuse it. They are really easy to make too. You can also sew the pouch shut once you have filled it or tie it with a ribbon or elastic band – just make sure that the contents stay inside). Stuff the pouch with all the ingredients. Once filled, seal. Place under or close to your dog’s bedding. If you are reusing the pouch, refill it every month or replace the old pouch with a fresh one. Note: You can sprinkle cedar chips in your yard to put fleas off from making nests. Recommended for: Inside your home. All you need for this no effort natural flea repellent is a few jars and some eucalyptus leaves and stems. Just place the eucalyptus in the jars. Leave the unsealed jars in the rooms that your best friend frequents the most. We all know that vampires don’t like garlic, right? Well, in this case, it is true as these tiny little bloodsuckers avoid garlic as well. Peel and mince the garlic bulbs. Place the garlic in a jar and add just enough boiling water to cover the garlic. Steep overnight. Strain the garlic from the water and mix in the oil. Pour the mixture into the spray bottle. Lightly spritz your lawn and plants. Note: You can even use this mixture on the inside your house and on your dog’s bedding although it does not smell as pleasant as the lemon spray. Borax is a natural mineral used in many products varying from teeth bleachers, laundry detergents and cleaning to enamel glazers and flame retardants. Another common use is the elimination of cockroaches and fleas. Simply sprinkle powdered borax around your home to get rid of fleas. Note: Although borax is safe and cannot be absorbed through the skin complications such as breathing problems can occur if a small dog ingests more than 5 mg.
Nematodes are microscopic parasites that prey on fleas. They can be purchased from any gardening outlet. Mix the nematodes with water in a spray bottle and spray your lawn. Nematodes require water to thrive, so water your lawn two to three times a week. This everyday nontoxic substance actually kills off kills by causing dehydration. The only downside to this remedy is that you will need a lot of salt (table salt or any sea salt will do) especially if the flea infestation is bad. Make sure that the salt you are using is fine. If you purchase coarse salt you will have to grind it first. Put the salt in a large shaker and sprinkle it even over your all carpets. Leave the salt for a day or two and then vacuum. You can repeat this if there are still fleas prevalent in your home. Bear in mind that there may be eggs that need to still hatch in the fibers of your carpet so you will not be rid of the infestation until you get rid of the new fleas as well. Sprinkle the DE over your dry lawn and flea infested other areas. This isn’t a poison but it definitely works. The flea’s hard exoskeleton is shredded by these minuscule organisms called diatoms and all moisture is drawn out which results in dehydration and ultimately death. Food grade diatomaceous earth can be purchased from the supermarket. Do not purchase the pool grade diatomaceous earth. Repeat weekly for a month to ensure that hatched fleas are eliminated as well. Notes: If you have a puppy or a small breed of dog it is best to keep them away from the DE. This product can also be used inside the home and is effective on both carpets and hardwood floors. Make sure to vacuum the following day. When used inside, you can reapply every 3 to 4 weeks. Flea foggers, or flea bombs, come in an aerosol can. Unlike the dog flea sprays, these products cannot be sprayed directly onto your dog. Instead, these are specifically designed for the interior of your home and must be used in an enclosed room. They kill off fully grown fleas and prevent reproduction thereby eliminating up to 80-90% of the infestation depending on the product. Some sprays can stay effective for up to 7 months. These are highly effective but they do coat the interior of your home with a fine layer of insecticide which contains poisonous toxins. Although this is not always dangerous to humans or even your dogs, very small animals like birds can be adversely affected. Make sure you clean up thoroughly after treatment and please follow the instructions carefully. Insecticides are a type of pesticide which is awesome for getting rid of fleas in the yard. These are available in a granular form or a spray. Read the manufacturing label carefully and stick to the instructions in regards to application. Remember these remedies are toxic. If you are considering insecticides as part of your solution, look into insect growth regulators (IGR) which will target the flea in the various stages of its life cycle. This will ensure that you get rid of all of them and that infestation does not reoccur. The best way to get rid of fleas on dogs forever is to treat your pet, your home and your garden. To accomplish this you need to make use of several remedies in the same time. Your pooch has an acute sense of smell so some of the herbs may be too pungent and chemicals could cause an allergic reaction. In severe cases, make an appointment at the vet and contact your local exterminators to help you in getting rid of fleas.